The fact that, after more than twenty years in the industry, Dan Curtin‘s music is as innovative and vital as ever before is testament to the skills and strengths of the man himself and the high regard in which his music is held. With over 70 singles, 9 albums and a discography that dates back to first releases for Detroit’s 33RPM in 1992, the Cleveland born producer can proudly wear the affectionate title of a ‘veteran’ of the music scene. Yet whilst the title refers to time past, its Dan’s ability stay firmly in the present that sees him remain one of the most influential producers of today. The very fact that Curtain is never constrained by style or genres is perhaps the key factor to his success. Having seen releases on Peacefrog, Strictly Rhythm, Tuning Spork and Soma to name but a few, its Anja Schneider’s Mobilee imprint where Dan has really found a home since relocating to Berlin in 2003. A string of remixes and singles, including November’s “A Study In You“, are backed by his 2010 full-length opus “Lifeblood.” A label boss himself, Dan’s ‘Metamorphic‘ imprint has now reached release #025, providing a platform for him to experiment further under his many pseudonyms such as, Planetary. 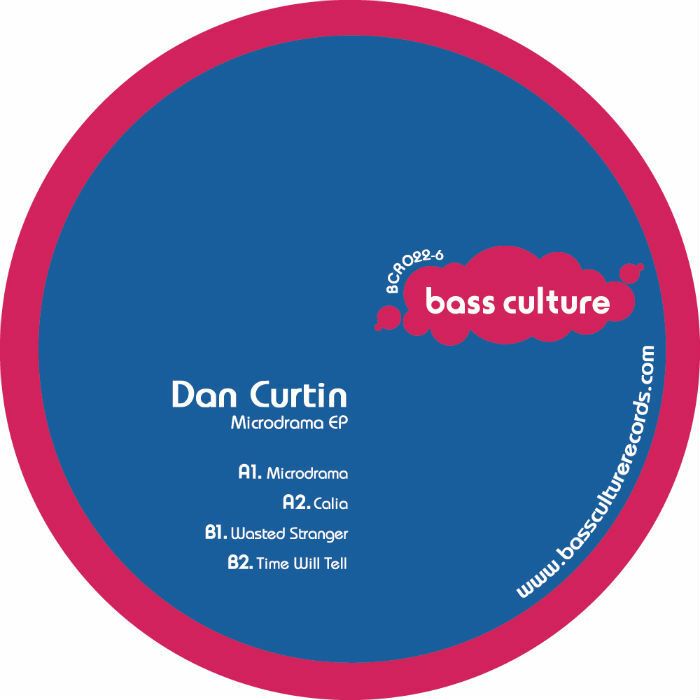 Today Dan joins the Bass Culture family and presents what for is us, one of the most impressive and diverse releases on the label to date. Variety really is the key as Dan opens with the piano-laden title track “Microdrama.” “Calia” evokes balearic memories with its evocative horns and sparkling synth riffs whilst “Time Will Tell” takes a deeper mysterious trip with spritely key melody and whispered vocal. Final cut “Wasted Stranger” sees Dan ring the bells as he brings the ep to a close to a wonderful percussive workout. This entry was posted on February 21, 2012 at 15:09 and is filed under Release.